I have been personally attacked through comments on facebook and blog posts for my support of Ordain Women. People who don't know me make assumptions about me, and that is, well, the worst. How is it that people can be meaner to me online than anyone ever was in middle or high school? My chromosomal difference from the average man means that people automatically assume that my purpose is life is to bear children and take care of a house, but as an infertile, full-time, salaried employee, I’m tired of being marginalized. I am a person. My Ordain Women sisters are people. My sisters want the Priesthood. They don't want to be men or be treated like they are men, but they want to be more comfortable and to have access to what they have been taught since childhood is the power of God. I am more than happy to support this movement. I don’t want to be marginalized anymore. I’m doing this not as an apostate action but as a faithful action. No more false dichotomies or empty assumptions. I’m doing this for my sisters and for me. I don't care if I get the Priesthood or not, but my job is to "mourn with those that mourn; yea, and comfort those that stand in need of comfort" (Moroni 18:9). This post may seem scatter-brained, but I am still new to this movement and idea. I am determined to make it mine, too. My purpose in life is not, nor has it ever been, to sit back and accept the role handed to me. It is to be bigger. 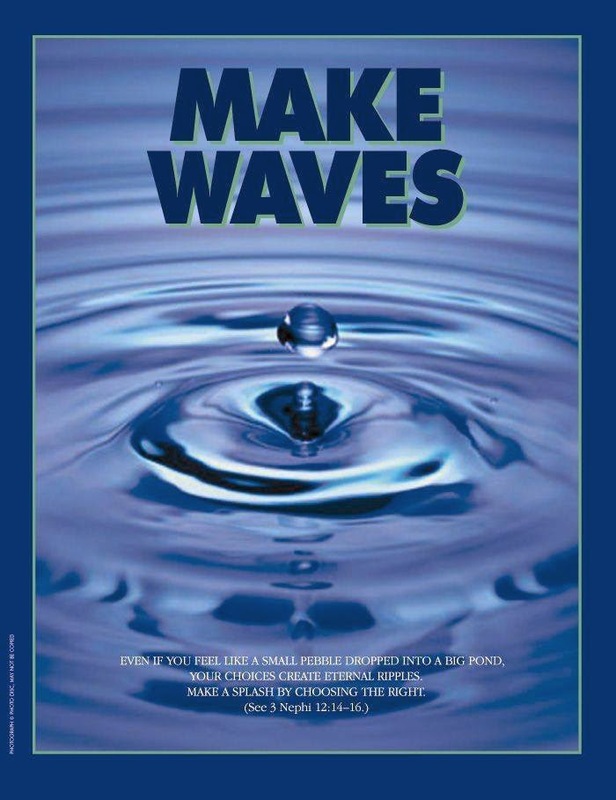 It is to make waves. Author's Note: I just wanted to add that the day I wrote and posted this is the 5 year anniversary of my coming home from my amazing LDS mission, where I learned that women can and should be powerful in the first place.